Brescia, Lom-bardy’s second city after Milan, can be reached by train from Bergamo in just under an hour. 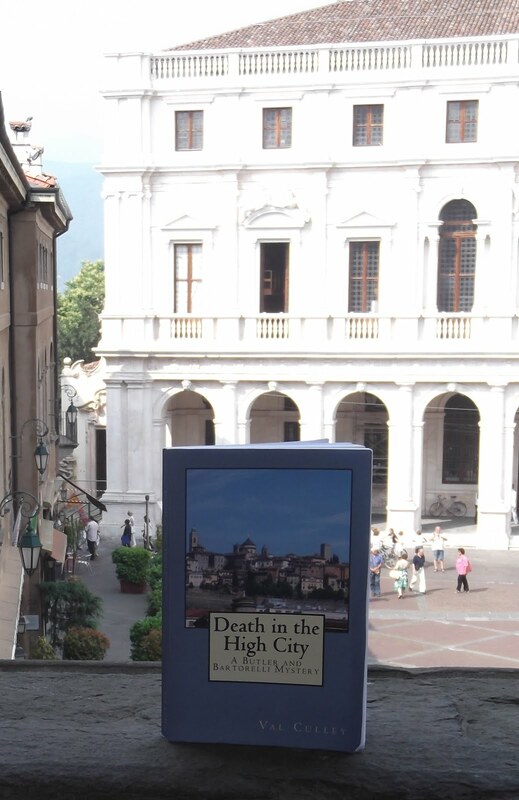 Although it is a place of great artistic and architectural importance, it is not as well known to tourists as some of the other historic Italian cities, but is well worth a visit if you are staying in Bergamo for any length of time. There are direct trains every hour from Bergamo’s railway station in Piazza Marconi in the Città Bassa (lower town). Brescia became a Roman colony before the birth of Christ and you can still see remains from the forum, theatre and a temple. The town was fought over by different rulers in the middle ages but came under the protection of Venice in the 15th century. There is a distinct Venetian influence in the architecture of the Piazza della Loggia, an elegant square in the centre of the town, which is the site of the main Ufficio d’Informazione Turistiche (tourist information office) and has a clock tower remarkably similar to the one in Saint Mark’s square in Venice. Next to the 17th century Duomo is an older cathedral, the unusually shaped Duomo Vecchio, also known as la Rotonda, which is open to the public and worth a look inside. The Santa Giulia Museo della Città covers more than 3,000 years of Brescia’s history, housed within the Benedictine Nunnery of San Salvatore and Santa Giulia in Via Musei. The nunnery was built over a Roman residential quarter, but some of the houses, with their original mosaics and frescoes, have now been excavated and can be seen while you are looking round the museum. If you decide to spend the night in Brescia in order to do justice to everything there is to see, a good base would be the Hotel Meuble Orologio in Via Cesare Beccaria, which is close to the Piazza della Loggia and only a few minutes walk away from the Santa Giulia museum. The hotel is housed in an historic building but has plenty of modern facilities and you can enjoy breakfast on a terrace with panoramic views of the city.